Teeth whitening is safe, quick, and inexpensive. There are methods of bleaching; using bleaching trays at home or in-office bleaching.In only a day or two, your custom bleach trays will be ready for you to pick up. We provide a special bleaching agent that is placed into the trays. Wearing them only a few hours a day, our bleaching agent remove stains from your enamel without altering tooth structure or existing dental work in any way. 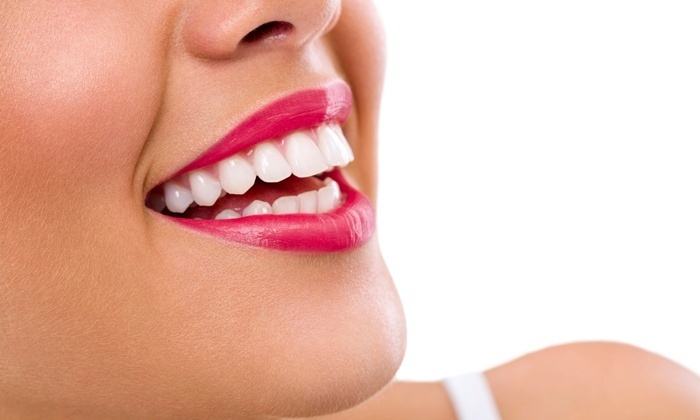 When your teeth reach the desired brightness, maintaining your new smile will only require occasional treatment. We’ll want to take “after” photos at your next appointment. Dental bleaching can be used to correct tooth discoloration. Discolorations can be caused by staining, aging, or chemical damage to teeth. Using the latest bleaching technology, we offer a safe method for creating a beautiful, brilliant smile. In extreme cases, crowns or veneers may be the only option available, but because of the low cost of bleaching, it is always worth a try. How is the whitening accomplished? An impression is taken to make a specialized mouthguard, or tray, to hold the bleach against the teeth. The material is used each night for about 3-4 hours for 1 or 2 weeks, and by the end of this period, significant whitening will occur. For confidence in appearance, bleaching technology allows us to promise improvements in yellowing, aging, or stained teeth. For severely stained teeth, crowns or porcelain veneers may be appropriate. With in-office bleaching, three 15 minute sessions of a more concentrated bleach are applied to the teeth. A shade is pre-determined and the teeth are isolated by covering the soft tissues with a protective barrier. The teeth will continue to whiten in the next 48 hours.